The beautifully bred Group 2 winning SHAMARDAL racemare ALJAZZI looks set to be amongst the highlights of the four day Tattersalls Autumn Horses in Training Sale which takes place Monday October 29th to Thursday 1st November. The world’s largest horses in training sale numbers 1,636 lots and can be viewed online at www.tattersalls.com. Last year’s Tattersalls Autumn Horses in Training Sale saw the Group 2 winning filly ELIZABETH BROWNING top the sale at a record 700,000 guineas and the Marco Botti trained ALJAZZI looks set to attract plenty of attention. The daughter of SHAMARDAL has four Group and Listed wins to her name including her spectacular win in the Group 2 Duke of Cambridge Stakes at this year’s Royal Ascot. 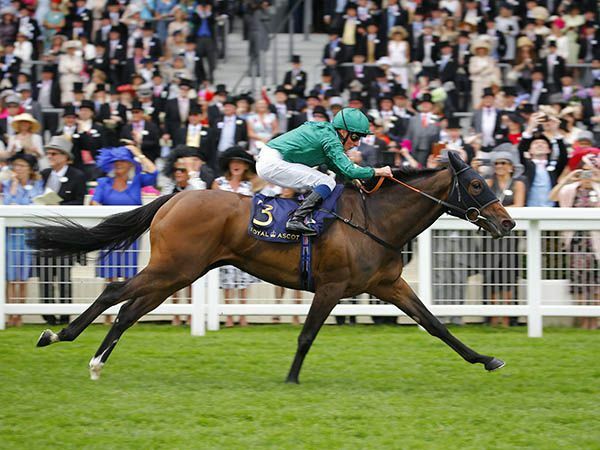 Trailing in her wake that day was subsequent Group 1 winner URBAN FOX and the five year old ALJAZZI is the highest rated horse in the sale with a current Timeform rating of 119. 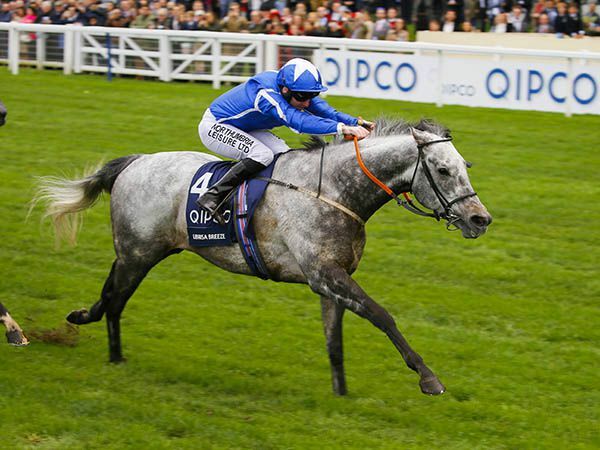 The world’s largest sale of horses in training, from which last year’s Group 1 British Champions Sprint winner LIBRISA BREEZE and Grade 1 Cheltenham Stayers’ Hurdle winner PENHILL were purchased, features almost 100 Group and Listed performers including 2018 winners ALJAZZI, BARSANTI, DALI, DAVE DEXTER, DOLPHIN VISTA, EMMAUS, HAKAM, IMAGING, LARCHMONT LAD, NELSON, and SEVENNA STAR. Currently the Timeform top rated colt in the catalogue is the ultra-consistent Karl Burke trained four year old MJJACK who is rated 118, and the Timeform top rated two year olds are Karl Burke’s smart duo SWISSTERIOUS and LIFE OF RILEY rated 104 and 102 respectively. 2018 Australian Group 1 winner HARLEM, the 520,000 guineas sale topper at the 2016 Sale, has provided yet another reminder of why the Juddmonte consignment is an annual highlight of the Autumn Horses in Training Sale. This year’s 29 strong Juddmonte team looks as enticing as ever with the high class three and four year olds BLUE MIST, BREATH CAUGHT, BUFFER ZONE, COLLIDE, IMAGING, INDEED, MIDI, SPIRIT RIDGE and STAR ARCHER all likely to be amongst the most sought after offerings. Sheikh Hamdan Al Maktoum’s ever popular Shadwell consignment numbers 67 lots and the largest consignment in the sale is the team of 115 coming from The Castlebridge Consignment. 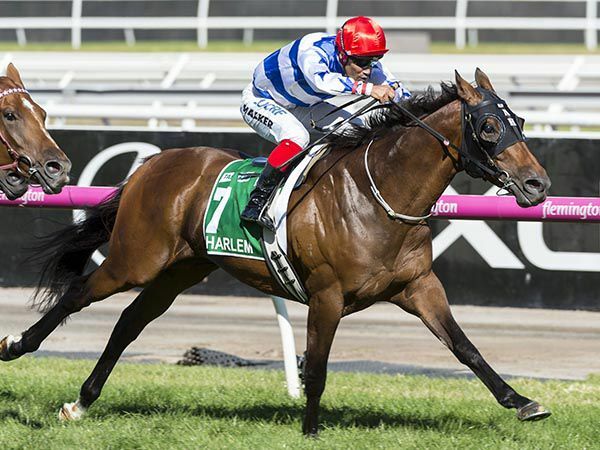 Three year old colts ARBALET, ARGENTELLO, CORROSIVE and SEVENNA STAR, all Timeform rated above 105, look set to be amongst the stars of the enormous Castlebridge Consignment. The two largest trainers’ consignments are the 69 coming from Richard Hannon’s powerful East Everleigh Stables and the 45 from Aidan O’Brien’s all - conquering Ballydoyle Stables, while Sir Michael Stoute’s Freemason Stables has 20 catalogued, Mark Johnston’s Kingsley House has 34 and Richard Fahey’s Musley Bank has a team of 41. Irish trainers including Charles O’Brien, Joseph O’Brien, John Oxx, Jim Bolger, John Murphy, Michael O’Callaghan, Fozzy Stack and Dermot Weld are also well represented and buyers will also find significant numbers of high class winners from France and Germany. “The Tattersalls Autumn Horses in Training Sale is a unique sale and the 2018 catalogue has quality and diversity in abundance headlined by the outstanding Royal Ascot Group 2 winning filly ALJAZZI. The key to the consistent appeal of the world’s largest horses in training sale is that it produces Group 1 winners on the global stage and Grade 1 winners at the Cheltenham Festival in equal measure. Every year the Autumn Horses in Training Sale caters to pretty well every possible requirement of buyers, both Flat and National Hunt, which is why it annually attracts buyers from every continent in the world."